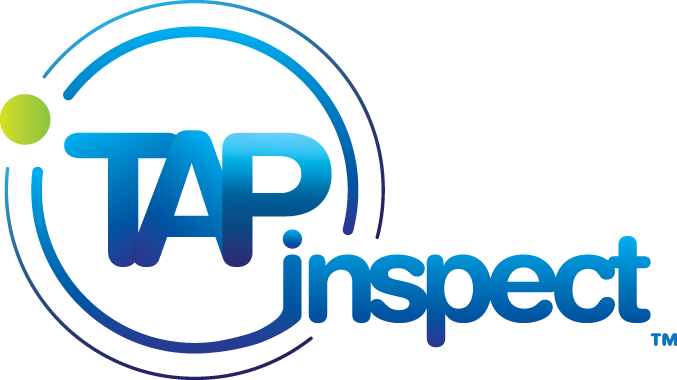 With Tap Inspect, you can personalize both the Report PDF as well as the web Pickup Page. By entering your contact information, uploading your company logo, as well as adding attachments to your reports, you can personalize and provide your clients with the professional look and feel that they expect. The easiest way to add some pizazz to your reports is to simply add your contact information and your logo. Below is a the report cover page that is generated with only your email address compared to the same report with the contact information and logo added. To add your contact information and logo you want to log into to your web account at https://app.tapinspect.com/login using the same email and password you use in the app. Then click on Settings at the top right of the screen and then Contact Information. Your account options are displayed in the black bar and just click on the one you want and follow the instructions. Scroll down to the bottom of the Contact Information page and you can add or update your company logo. Now that your report is looking a bit more professional you can also customize the experience your client has when picking up your reports. When you have finished editing your report and are ready to share with others, we call that process, Publishing the Report. While you are still logged into your web account on tapinspect.com, click on Settings and then on Report Publishing. While you are in the Tap Inspect app and getting ready to Publish the Report you get the chance to customize the Invitation Email. You can add some payment information or a personal message but the default text of the email can be customized as well for every report you publish. The Pickup Page is a web page that is created by our servers when someone that you have invited clicks on the View The Report link in the email. It is built from the contact information in your account as well as the Report information and Hopefully you have already added your Contact Information and Logo. Without those, the Pickup Page will look very plain with only your email address. Below the Invitation Email section is the Pickup Message. This is where you can edit or add your own message on the pickup page. You can even use simple HTML tags to add links and other web type stuff. You can add quite a bit of text but keep in mind that the more text you add, the further down the Property Photo will be pushed. This is a sample pickup page message that can be customized by you. Even add links like <a href="http://www.surveymonkey.com/s/56CM93T" target="_'blank">this sample survey</a> to connect with your clients. Report Attachments are files that are available on every pickup page. They are not specific to a particular report. A person can choose to click on and view them or not. We use a sample Standards of Practice document as well as a Home Maintenance Manual as examples but you can upload any file you like. It could be a brochure, a coupon or even a walk through checklist for your client to use. It may be best to stay with very common formats such as PDF, TIFF, DOC, etc so the person is more likely to have a viewer installed to open them. Scroll down past the Invitation Emails, and Specify Pickup Message sections on the Report Publishing page. Report Attachments and then click on Upload New Attachment. Type the description that will be displayed on the pickup page and then click Choose File to pick the file to upload. After you have uploaded a document or two you can always click on them from the Report Attachments screen and edit or delete them from your pickup page. How do I add my Standards of Practice to each report?